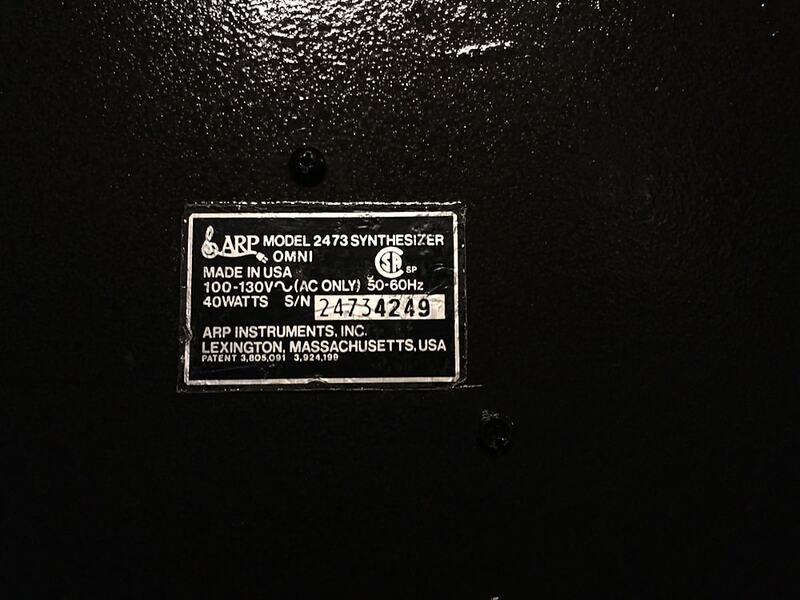 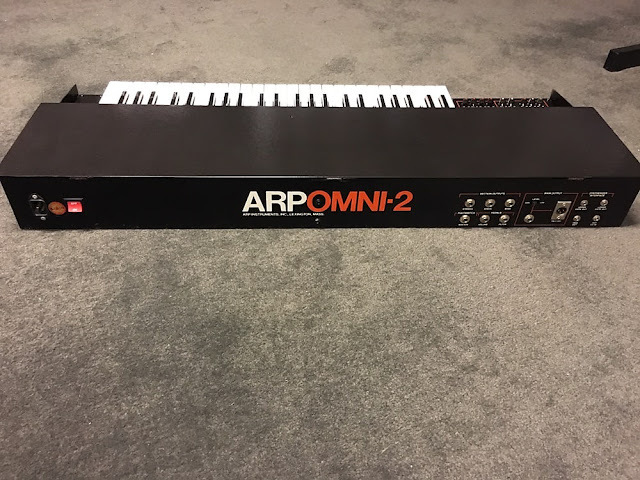 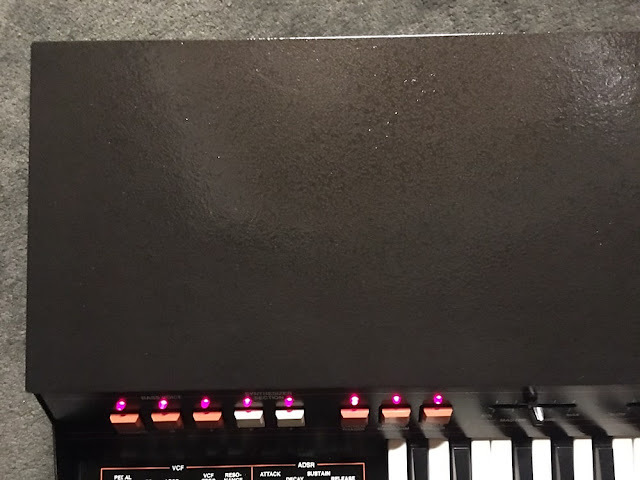 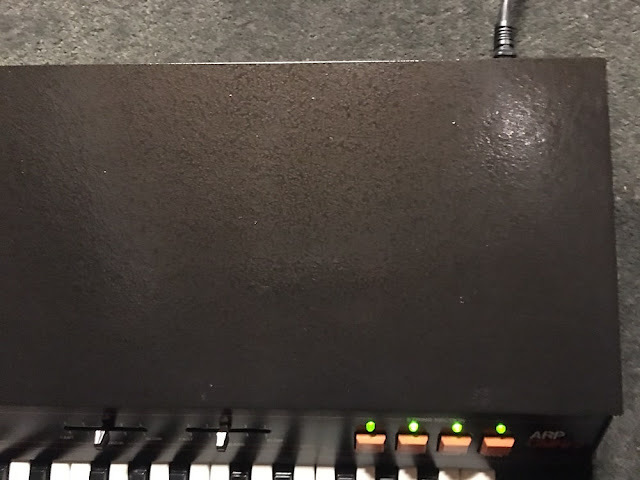 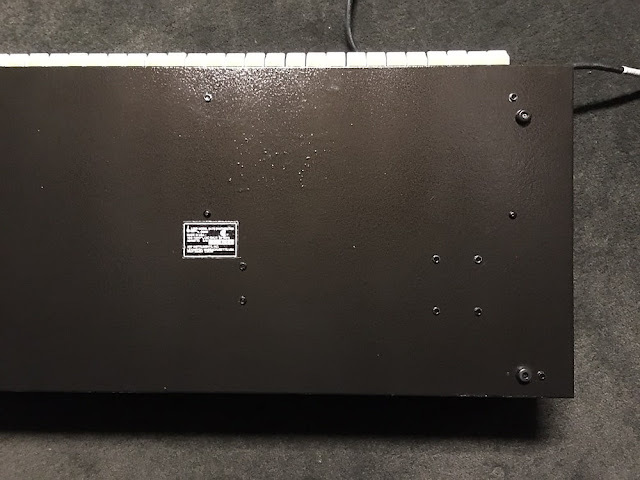 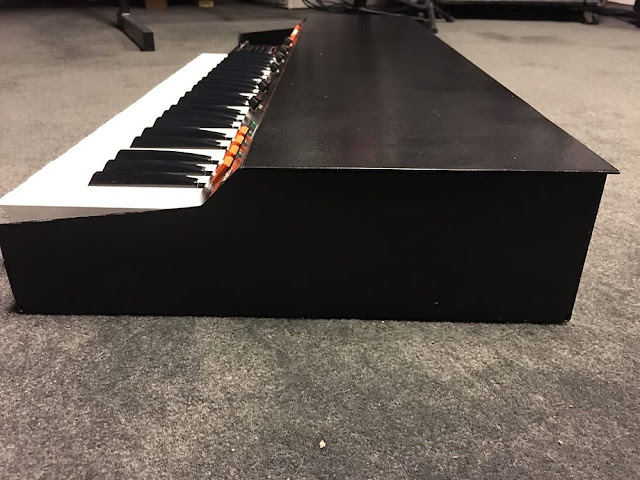 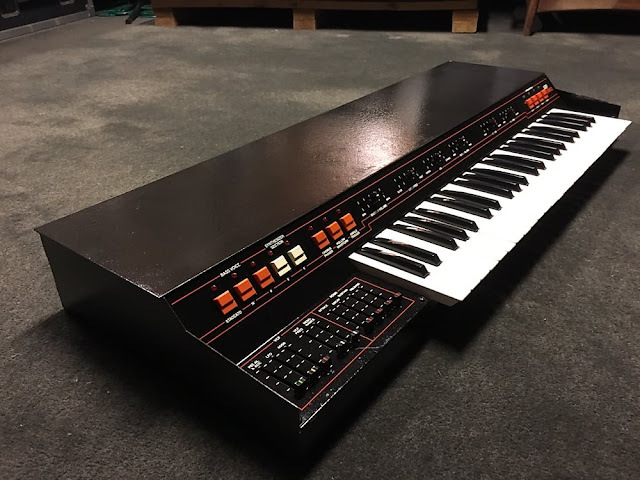 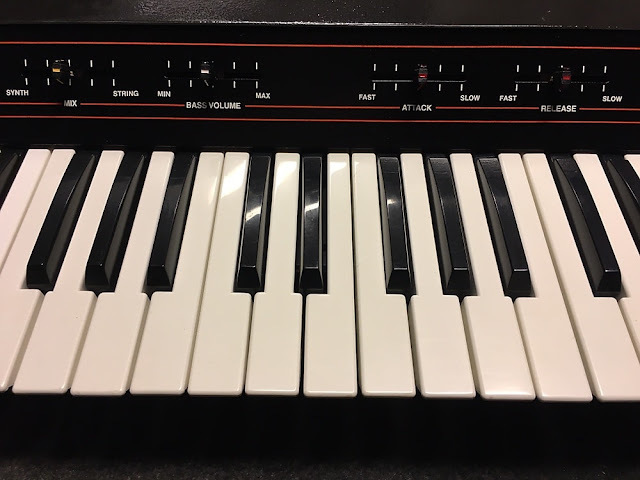 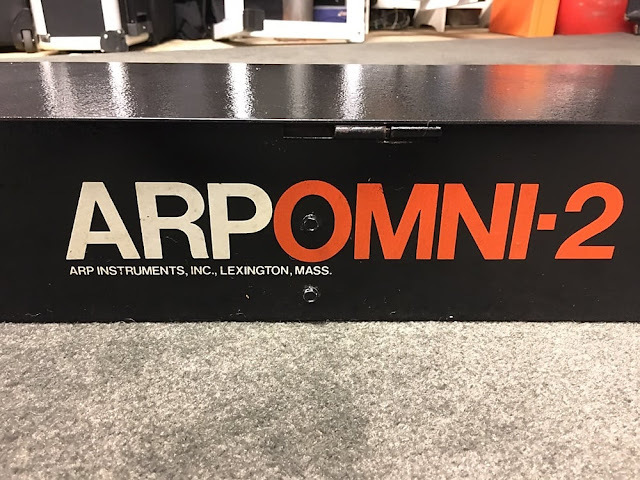 "This is an ARP Omni 2, Model 2473, fully overhauled by Synthcave Sound. It's fully functional, in tune, and sounding great! 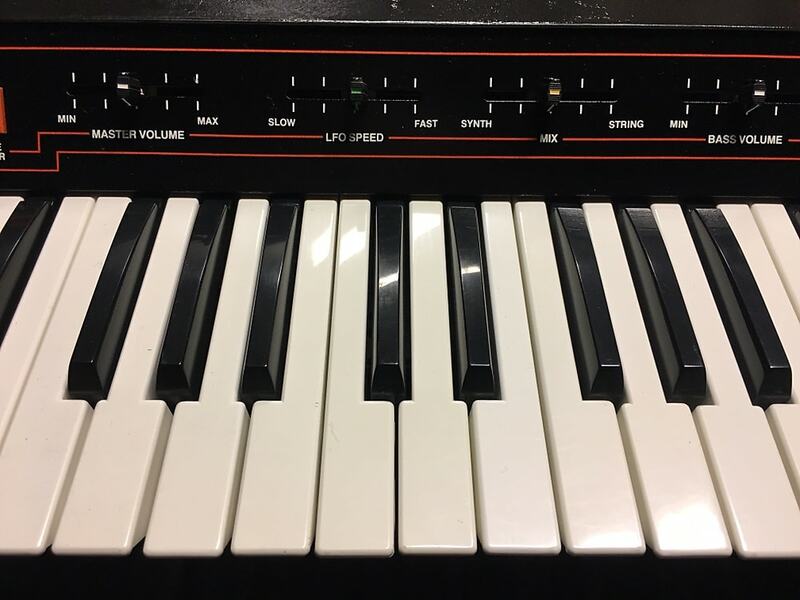 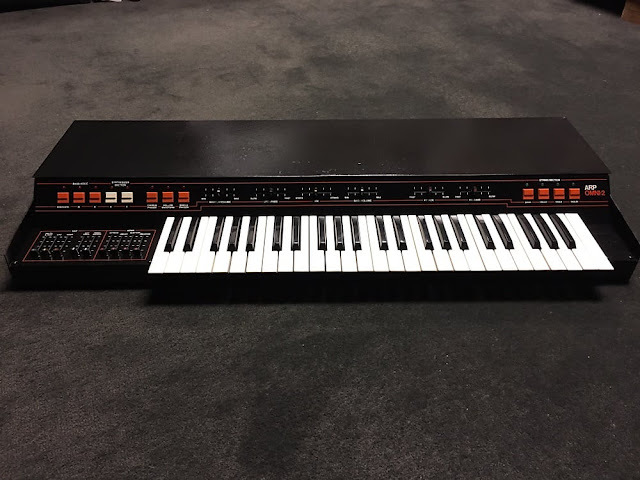 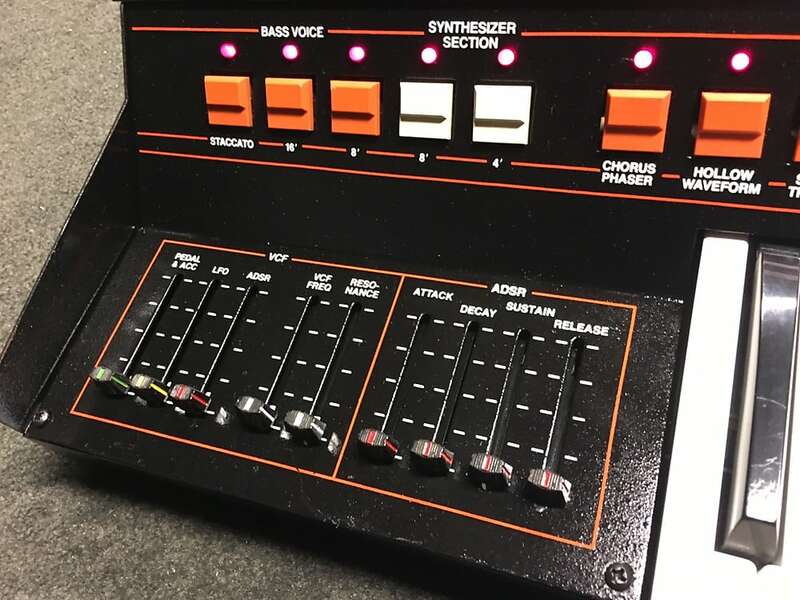 The legendary Omni 2 is perhaps most closely associated with Joy Division but was used extensively in numerous recordings in the late 70s and early 80s. 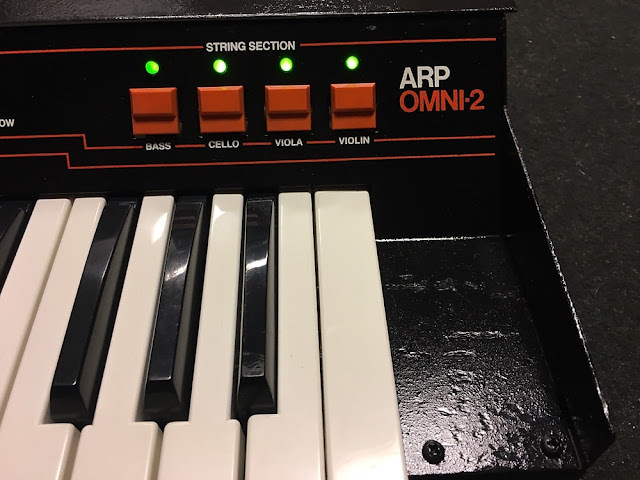 Its lush Solina string-ensemble sound is much sought after, but the Omni 2 also features a polyphonic synthesizer with VCF, LFO, and ADSR envelope along with a separate bass-synth section with its own envelope. Comes with a power cord. 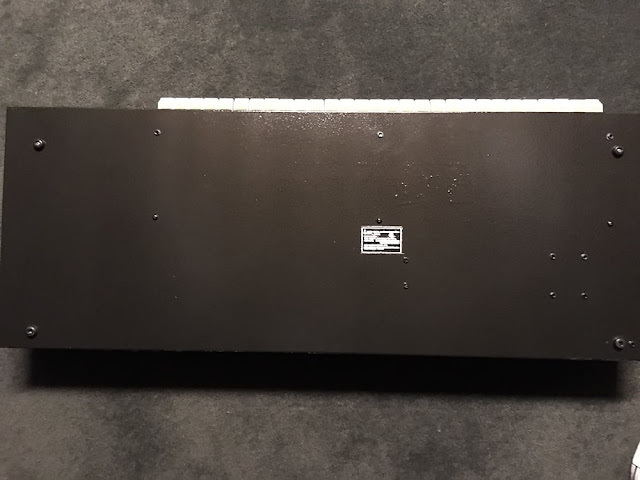 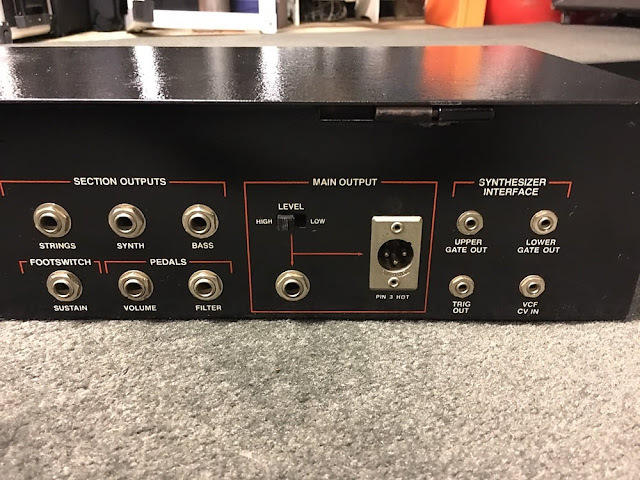 A bit more detail on this last item: this unit came into the shop with its powder coating seriously compromised by rust, particularly on the top, bottom, and left and right sides - quite common for the Omni 2, since, due to its flat surfaces, people tend to set things on them that they probably shouldn't. 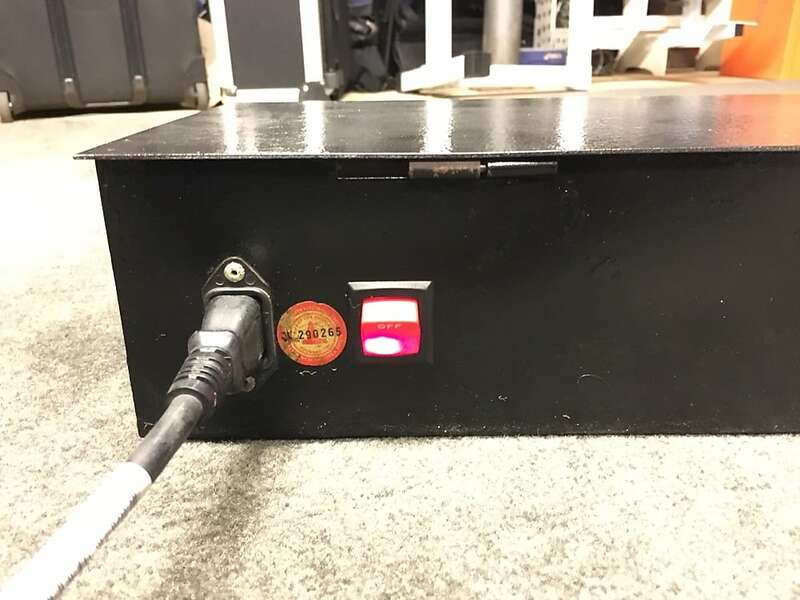 Luckily, however, the labelling on the front and back panels was largely spared of the rust. 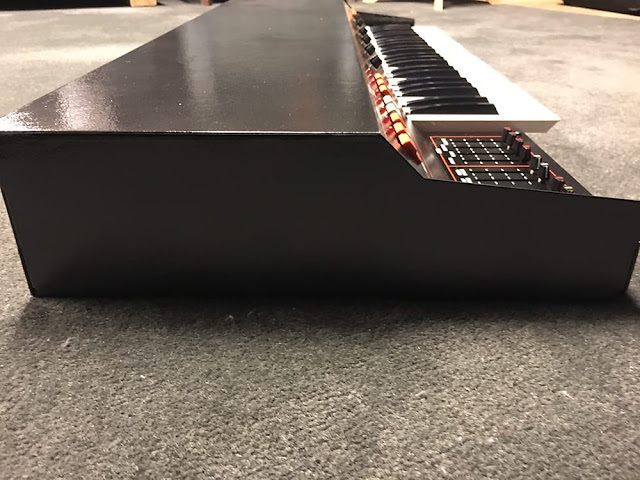 Thus, the top, bottom, and side panels were sanded down to bare metal and refinished. 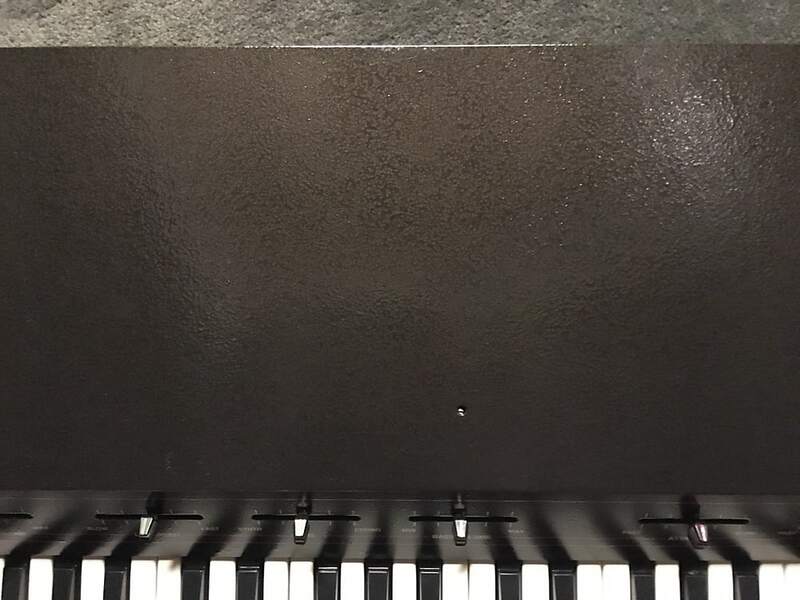 Elsewhere, rust spots were removed and refinished, with clear-coat applied across the entirety of the front and rear panels. 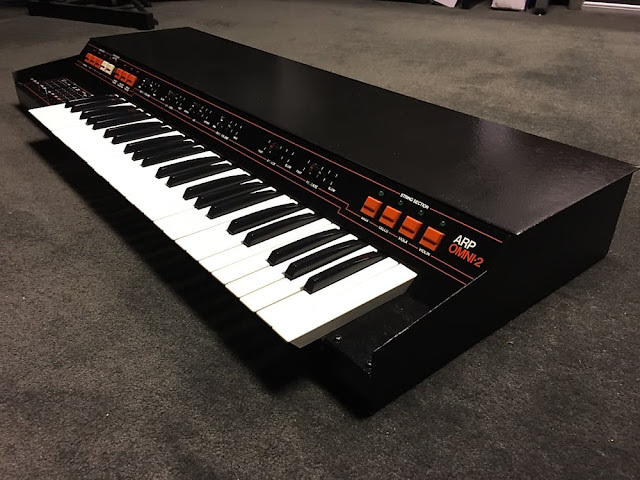 While the result is certainly not flawless, it looks fantastic, as can been seen in the photos - probably better looking than most, if not all, Omni 2 units you will find in today's market."